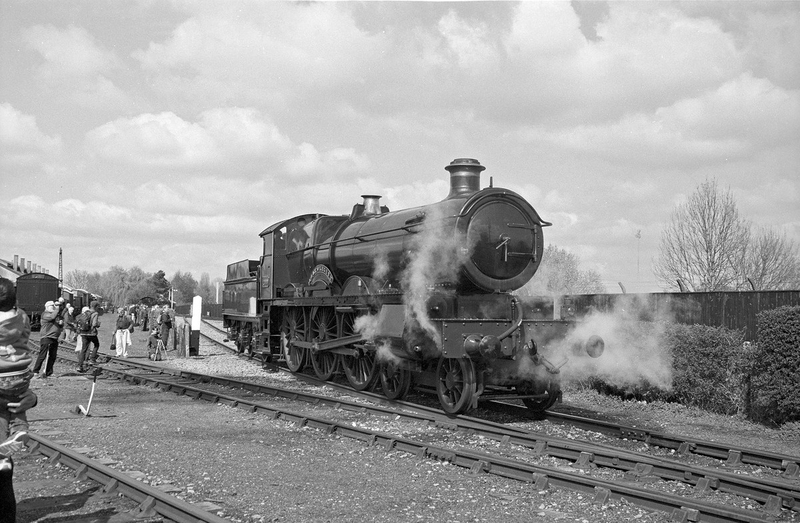 Last weekend was the first running of the reconstructed Churchward Saint Class locomotive "Lady of Legend" at the Didcot Railway Centre. 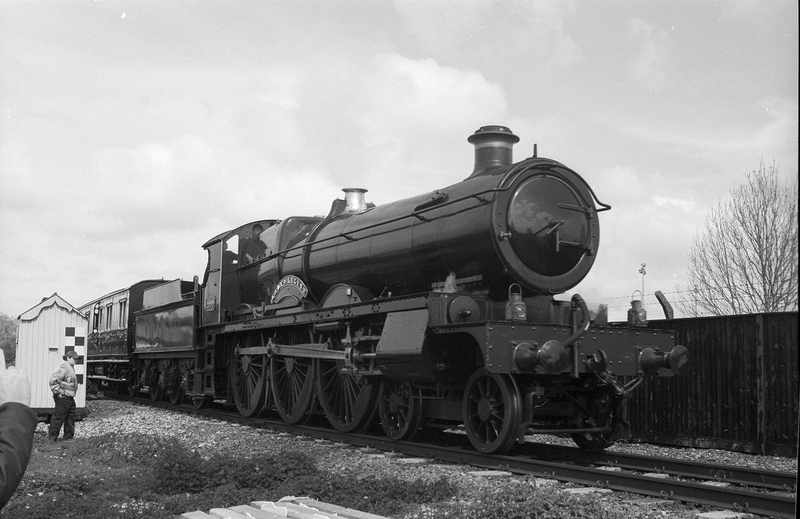 Consodered by some to be the first "modern" steam locomotives in Britain, none were preserved when they were withdrawn. The Lady was built from a "Hall" class (which was basically a Saint with smaller wheels) bought from Barry Island in the 1970's for that purpose although serious building did not start until about 10 years ago. Spoken like a true GW man ! A nice set of images James, interesting that they've got a turntable, I wish they had one (or more) on the ELR. interesting that they've got a turntable, I wish they had one (or more) on the ELR. 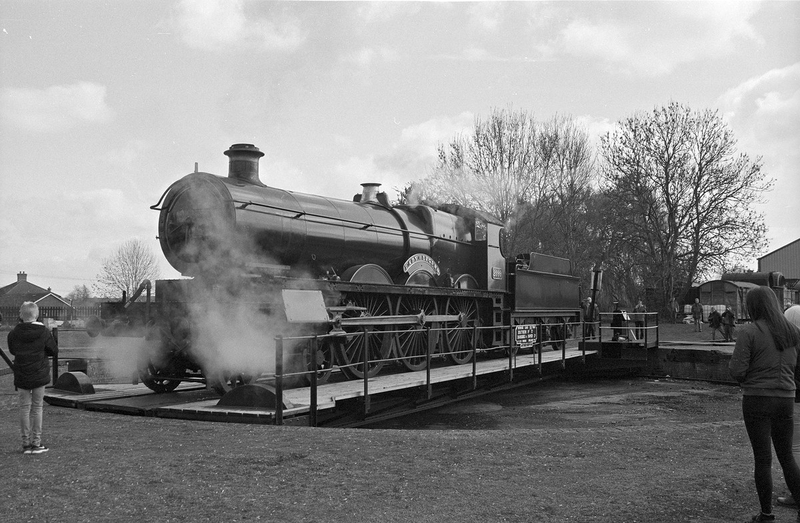 It's really only used to spin the star attraction around for photos on gala days, as it's way off behind the shed. BTW: I saw at least 5 or 6 others with film cameras! 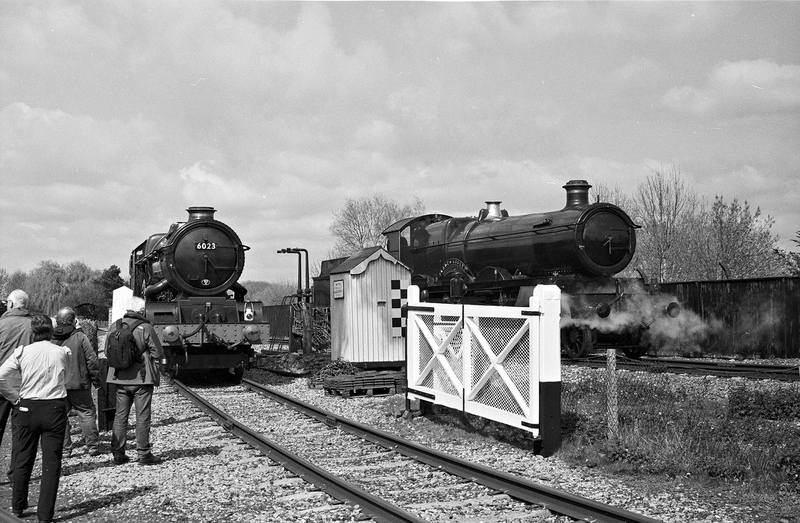 Oooh you’re maybe starting a trend James...these films thingies might catch on ..
That’s interesting...and what a great set of photos you have there, especially for steam loco enthusiasts. 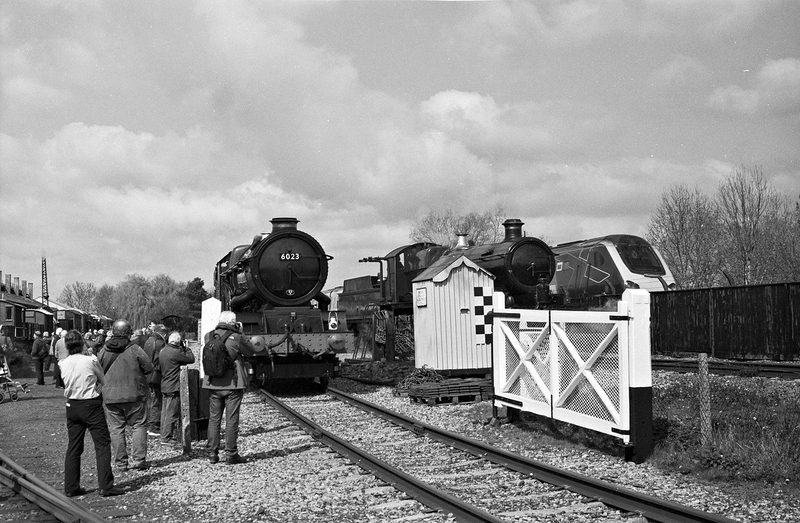 and what a great set of photos you have there, especially for steam loco enthusiasts. Didcot is actually a relatively easy place for photos as the line is short so they shuffle up and down quite frequently, and also when they are moving locos on and off the "main line" and around the shed and yard it is possible to get close up. Ah, I hadn't realised these had been shot on film.